I bought two sets of these chairs for our dining room. I wasn't sure how great they would be but the price was amazing and worth the risk. The chairs look great and the color is very much like pictures. I would highly recommend these chairs to anyone, love them. Love how these Montego Bay series chairs are quite modern, fit in with my cottage casual kitchen. A very nice eclectic addition. Atlantic Furniture chairs look great and were the best priced out of the other chairs in this style. Atlantic Furniture chairs are so gorgeous and very chic. We absolutely love the way they look with our dining table; the wood matches almost flawlessly. 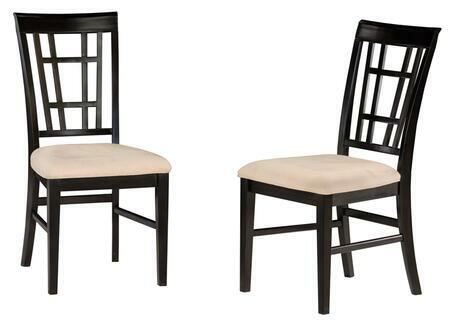 Montego Bay Chair material is soft and they are firm but comfortable. Very satisfied. I absolutely love these chairs and they look fantastic in my dining room. I really wanted a neutral fabric that would go with anything if I ever decided to change. I can't say enough about these chairs. They are just what I wanted.